Basic Law Enforcement Response D.R.O.N.E. Report incident to the FAA Regional Operations Center (ROC). Follow-up assistance can be obtained through FAA Law Enforcement Assistance Program special agents. Observe the UAS and maintain visibility of the device, look for damage or injured individuals. Note: Battery life is typically 20 to 30 minutes. 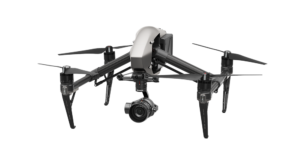 Notice features: Identify the type of device (fixed-wing/multi-rotor), its size, shape, color, payload (i.e., video equipment), and activity of device. Execute appropriate police action: Maintain a safe environment for general public and first responders. Conduct a field interview and document ALL details of the event per the guidance provided by the FAA. Always follow agency policies – Take appropriate action based on the facts and circumstances of the incident and site/area specific laws and rules. The FAA’s enforcement action does NOT impact ANY enforcement action/s taken by law enforcement. Local ordinances that may apply include, but are not limited to: Reckless endangerment, criminal mischief, voyeurism, inciting violence. Contact your FAA LEAP agent or an FAA Operations Center for assistance.